Source Naturals Fibro-Response is a comprehensive formula that soothes muscles and joints by supporting oxygen supply and energy production. Without adequate energy and oxygen, muscles become fatigued, achy, and painful. 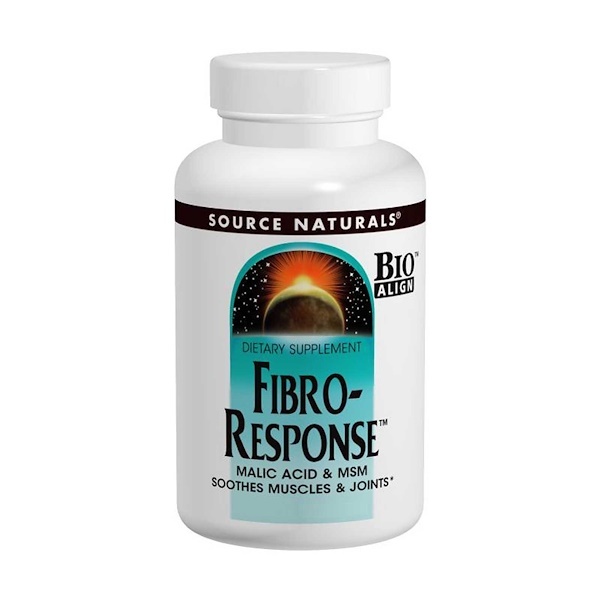 Fibro-Response also provides powerful antioxidants for healthy joints and connective tissue, and supports liver function and circulation. Stearic acid, silica, magnesium stearate, acacia gum, and modified cellulose gum. Do not use if you are pregnant, may become pregnant, or breastfeeding, or taking any form of prescription nitrate such as nitroglycerin. If you are taking Interferon or any other prescription drug, consult your physician before using this product.